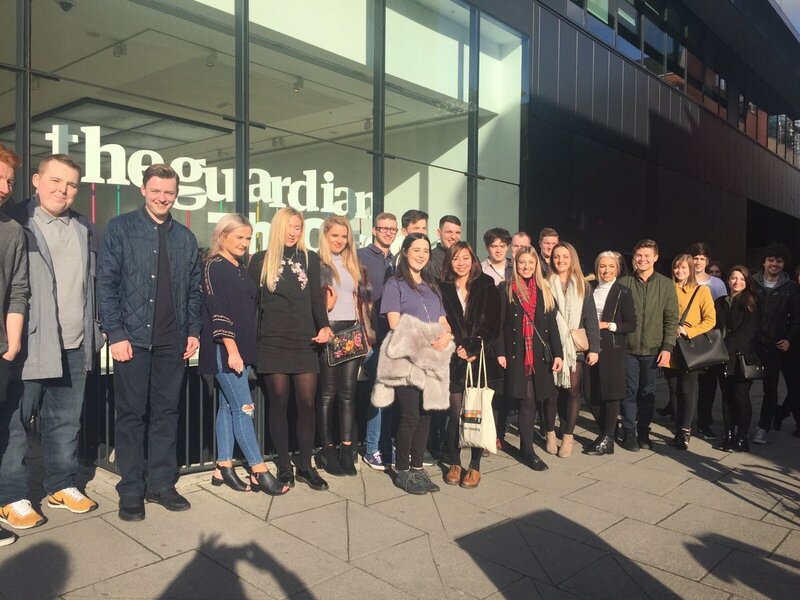 JMU Journalism students embarked on a journey to London this weekend to visit the headquarters of the Guardian and ITN. 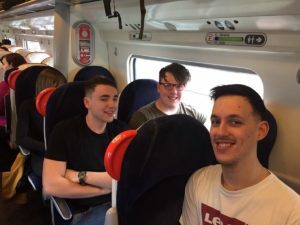 Staying overnight in the capital, the students had a chance to experience what it would be like to live and work in the capital, while getting tips from industry professionals. 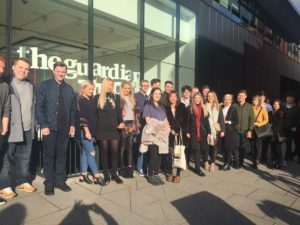 Third year broadcast students went to ITN, while print journalism went to the Guardian where they had a chance to speak with journalist Damien Gayle. Student Paige Freshwater said: “The experience was invaluable. It was interesting to learn about the history of the Guardian and receiving advice from a working journalist. Broadcast students had the opportunity to speak with presenter and journalist Ranvir Singh at ITN. As well as the guided tours, students had a chance to bond in the big city, exploring all the sights that London had to offer. A lucky few also had the opportunity to mingle with an A-lister, running into Oscar-nominated actor, Andrew Garfield. Student Rosie Steedman said: “It was so surreal bumping into Andrew Garfield. I’ve been to London loads of times and never seen anyone, but this time we casually saw one of the biggest actors in the world.